Building any home takes alot of people, materials, processes and details managed on a strict schedule. At Matt Cox Custom Home Builder, we put even more than most into building your home. Rest assured, we'll do whatever we can to make this effort seem simple. In fact, here's a glimpse of each stage of the homebuilding process to give you some idea of what will happen. Once youve been pre-qualified, you select your homesite, home plans, and any structural preferences. You then sign a sales agreement and secure a mortgage. Here you consult with Matt to select all the finishes and upgrades for your new home that will make it uniquely yours. You meet with Matt to review your plans, verify all of the finishes and upgrades youve selected, and visit your lot to review its specifications. Material orders are placed and Matt creates a construction schedule. 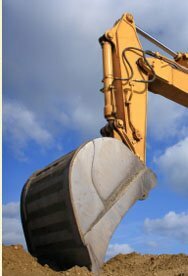 Matt secures all necessary permits required to get the building of your home underway. Your homesite is surveyed, staked, and excavated. Matt runs the plumbing lines from the street to your foundation and pours the concrete foundation. 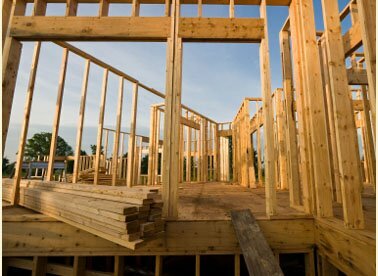 Your first floor exterior and interior walls are framed, then the second floor is framed. After that, the stairs and roof trusses are added. When your framing is complete, wall sheathing is added to enclose your home and house wrap is attached over exterior walls to prevent water penetration. Roof sheathing is added over trusses, attic vents are installed, and roofing materials are added. Windows and exterior doors are installed, and facade materials (such as stucco or brick) are added to the exterior walls. Finally, the exterior trim and paint are applied. Your heating and cooling system, plumbing and electrical systems are installed. Systems are roughed in, leaving exposed ends of pipes, wiring and ductwork to be finished later. Bathtubs and shower units and other large items are installed. Framing and rough mechanicals are inspected. Insulation is added between the studs in all exterior walls and between the joints forming the attic. Gaps between framing members, and around windows, are then sealed to eliminate potential air leaks. Walls and ceiling drywall are installed and finished. Interior doors, trim, and shelving are installed and paint is applied. All other materials (including cabinets, countertops, mirrors, and flooring) are installed. Your heating and cooling system, plumbing and electrical are finished (including registers, faucets, light fixtures and appliances). Your yard is graded to slope away from your foundation. Then driveways, walkways, and poured concrete porches are added. While the yard is being completed, Matt continuously performs quality inspections on your home. A punch list is prepared including any items that need attention, and all repairs are made prior to the New Home Demonstration Meeting. After repairs are made and inspected, the home is cleaned and made ready for the New Home Demonstration Meeting. Prior to closing, Matt will host the New Home Demonstration Meeting with you. Here Matt will explain the mechanicals and demonstrate the operation of appliances. You may ask questions about how your new home operates, as well as make note of any items needing attention. 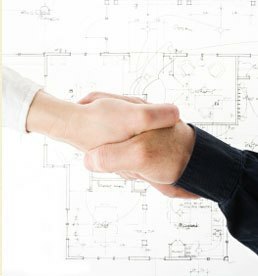 Within days of this meeting, you will sign closing papers, officially transferring ownership of the home into your name.